As you enter the workplace and start making money on your own, often the first major purchase you make is not a house, but rather, a car. Many young professionals are embarrassed about their cars and want respect among their peers. This combined with their stable income that they have for the first time in their lives leads them to in turn buying a new car. This process can be hard, and many young men and women feel as if they are taken advantage of at the dealership, as often they have never dealt with a process such as car buying before. There are many do’s and don’ts about car buying, and I am here today to help you make a complicated process easily. There are hundreds of online car dealerships and services such as CarMaxⓇ and AutoTraderⓇ, and many dealerships close to you as well. Many times we stereotype car salesmen as slimy men who want to take money from us and stick us with bad car payments, preying on our naivety. While that is sometimes the case, you can use a few simple steps to ensure that you do not overpay and are happy with your purchase. 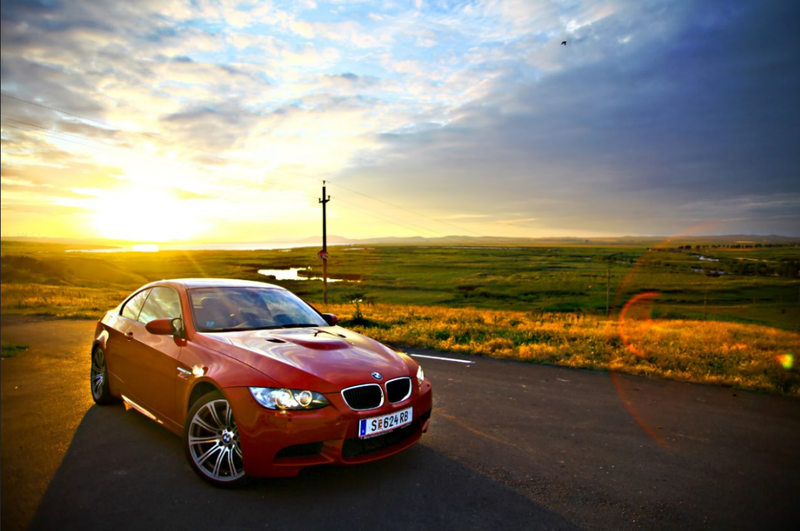 The first thing you need to do when looking for a car is assess your needs and wants. Ask yourself: Who are you? Are you single? Do you have kids? Do you have a long commute to work every day? What are the features you must have? Where do you live? Why do you want a new car? What are you trying to achieve with this new car? These questions will help you narrow down your choices. If you are a single man or woman who wants a car to make your co-workers jealous and drive to the beach, you might want a sports car. If you are a husband or wife who works 40 miles away from home, you might consider something that is great on gas mileage and can carry kids. If you need leather seats because you spill drinks or have children or are a handyman or woman on the weekends you might consider a truck with leather seats and top rated safety features. This part of the process is essential so you do not end up with a car you do not like. After you figure out what you are looking for, you need to research and set a budget. You need to find out what the going rate is for a car that meets your needs, and figure out what you can afford. The general rule of thumb is your car payment should not be more than 15% of your monthly income. You need to decide what the number is you can pay, and if you want to lease or buy. This will help you in negotiating with the car dealer or searching online as you will know really quickly what you can and cannot afford, and not get talked into something that is not practical for you. After you know what car you want and how much you are willing to pay for that car, then the fun part starts. Now, you get to start finding cars! You now have a budget and an idea of what you are looking for and now you can compare your options on sites such as AutoTraderⓇ or at your local dealerships. You can use these sites to filter by color, year, location, price, and features to meet your needs and wants. Once you find some options, sites such as AutotraderⓇ or CarmaxⓇ will ship these cars to your local dealership for you to test drive, as this is the most important part. You should never purchase a car that you have not driven as you do not know how you will actually like it until you are driving it. You cannot see blind spots online, or feel how touchy the brakes are! If you are satisfied with the test drive and this is the car for you, then it is time to make the purchase decision. If you are having second thoughts, sleep on the decision! This is a long term commitment you are entering in if everything goes as planned, so you need to be sure you are making the right decision. Once you are confident in your selection, the negotiation starts. Places like CarmaxⓇ do not negotiate, and the listed price is what you pay, so if you find a car here within your budget, go for it! But, for other places, you need to make sure you are not upsold, and do not go over your budget by falling victim to sales tactics. Ask yourself what all you really need, and do not talk price right away. You can use sites like TrueCarⓇ to see what the average cost is or the “invoice” to see what the average transaction cost is so you know what you can negotiate with the sales person. You should also use sites like Kelley Blue BookⓇ to see what your car is approximately worth, and do not buy without checking the CarFaxⓇ, or accident report on whatever car you are purchasing if it is used. Do not be disrespectful and treat the salesperson the way you would want to be treated, as even if you think they are acting nefarious in the way they are selling the car to you, they are just trying to make a living, and are human just like you. That being said, you still should never make a deal with someone who you do not trust. Once you find a salesperson who you are comfortable with, have negotiated the deal to your liking, found a car that fits your needs, wants, and budget, then it is time to sign on the dotted line! Buying a car can be scary, and each experience is tailored to the individual. By reading this article, you are putting yourself in a better position than you were before and do not stop here. The number one thing to keep in mind when looking for a car is research, research, and research! You should know everything about what you are looking for, and this is a major life decision that you should not rush into. You are a successful young professional if you are here today, and if you have made it this far then you can definitely buy a car! Cars are expressions of ourselves and our personalities, and that is why this can be so exciting. A car can be a status symbol, a vessel to get from point A to point B, or even something to create memories in. Whether you want to stand out from your coworkers, impress others, or make yourself happy, finding the right fit is the most important thing, and that all starts with you. So I encourage you to ask yourself why you want a new car, why you need a new car, and then go out and find one that fits your needs, wants, and budget!